This is the story of a "e;no military risk"e; campaign that slowly turned into a nightmare. The book provides new answers to a number of difficult questions beginning with a discussion of why Canadian troops were sent to Hong Kong at the request of the British War Office. Were the British duplicitous in making this request? Was Canadian Chief of the General Staff, Lieutenant-General Harry … Crerar, guilty of putting his own interests above those of his men in telling the minister of National Defence that there was "e;no military risk"e; in sending the "e;C"e; Force? 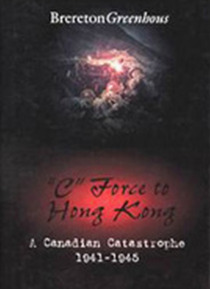 The book recounts the formation of the "e;C"e; Force and its departure to Hong Kong where it arrived just three weeks before the Japanese attack. It outlines the course of the battle from December 8, 1941, until the inevitable surrender of the garrison on Christmas Day. It places appropriate emphasis on the Canadian contribution, refuting 1947 allegations by the British General-Officer-Commanding - allegations which were only made public in 1993 - that the Canadians did not fight well. Greenhous attacks these charges with solid evidence from participants and eye-witnesses. Finally, the book tells the story of life and death in the prison camps of Hong Kong and Japan.